Cardamom has been used since ancient times to promote health. It has been used in both Ancient Chinese medicine and in Ayurveda, primarily to remedy teeth and gum problems and to treat throat, lung and intestinal disorders. Cardamom is an herb that originated in India, but is now cultivated in most tropical regions throughout Asia. It produces slender pods filled with seeds. Both the seeds and the pods are used for flavoring in Indian cuisine and coffee and tea. Cardamom tea is a popular tea in India and is gaining popularity in the United States. Cardamom essential oils are also used in aromatherapy for a host of emotional and physical ailments. What is Cardamom Tea Good For? Aids Digestion: Cardamom works to sooth upset stomachs, treats indigestion, irritable bowel syndrome and other gastrointestinal conditions. Detoxes the Body: As a diuretic, cardamom helps to flush toxins out of the body through the kidneys. Promotes Oral Health: Cardamom is used to treat tooth and gum infections and to freshen breath. Relieves Cold and Flu Symptoms: Cardamom reduces coughs and congestion and soothe sore throats. It’ fragrance may ease nasal congestion. Fights Aging: As an antioxidant, cardamom fights free radicals and slows cellular aging. Inhibits Viruses and Bacteria: Cardamom fights off both viral and bacterial infections. Many find cardamom tea soothing when they have colds or the flu as it helps the body relax while restoring easy breathing and relieving coughs. It also helps to soothe an upset stomach common with colds and viruses. What Does Cardamom Tea Taste Like? 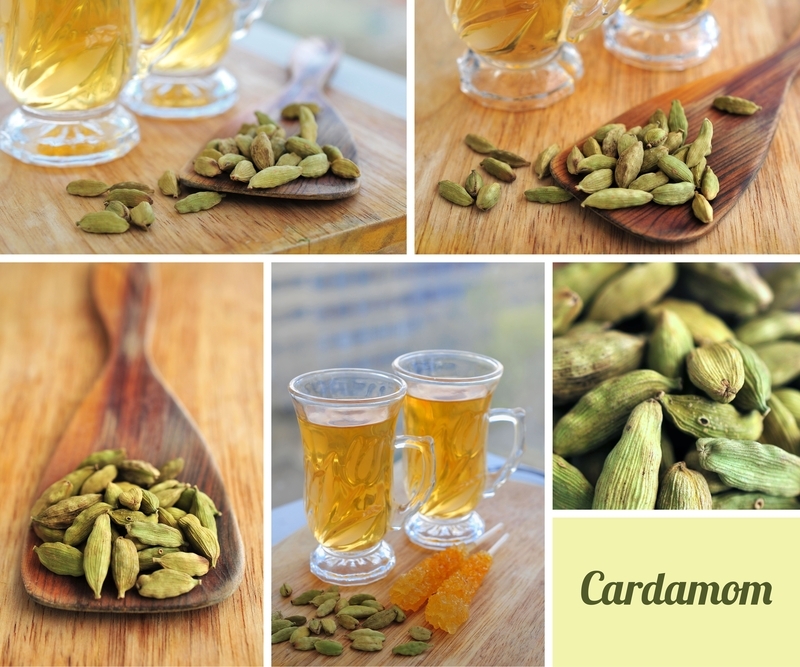 Cardamom tea is often described as spicy, herbal and citrusy. It is often flavored with cinnamon or other spices, such as nutmeg, allspice or cloves. The combination of favors and its strong aroma give cardamom tea a unique flavor. Cardamom is common ingredient in chai or masala tea recipes which also typically include ginger, cinnamon, cloves and peppercorns. You can follow chai tea recipes or experiment with these spices yourself. Some prefer ginger and cardamom with milk and sweetener, while others prefer to use black tea as a base and flavor it with cardamom and vanilla. Antioxidant: The essential oils in cardamom contain antioxidant properties that fight aging, promote a healthy heart and may fight cancer. Anti-Carcinogenic : Studies conducted at at Chittaranjan National Cancer Institute in Kolkata show that cardamom may fight colorectal cancer. Further research is needed to determine cardamom’s effectiveness against other types of cancer. Antidepressant: Cardamom essential oils are used in aromatherapy to relieve depression. Antibacterial: Cardamom fights bacteria and infections especially in the mouth and gastrointestinal tract. It treats mouth and gum problems and fights digestion problems. Anti-fungal: Cardamom also fights fungal infections. Antimicrobial: The volatile oils in cardamom work to inhibit the growth of the microbes that cause food poisoning. Diuretic: Cardamom is a diuretic that helps the body detox and may help with weight control. Cardamom (Elettaria cardamomum ) is an evergreen herb that belongs to the ginger family. There are two main varieties of cardamom: small cardamom that is often referred to as green or true cardamom, and the larger amomum variety known as black, white or red cardamom. The pods are slender and range in color from white to green. The inner seeds resemble pumpkin or squash seeds. It contains a host of vitamins and minerals including pyridoxine niacin,, vitamin A riboflavin, vitamin C, thiamine, sodium, potassium, copper, iron, phosphorous manganese, magnesium,and zinc. 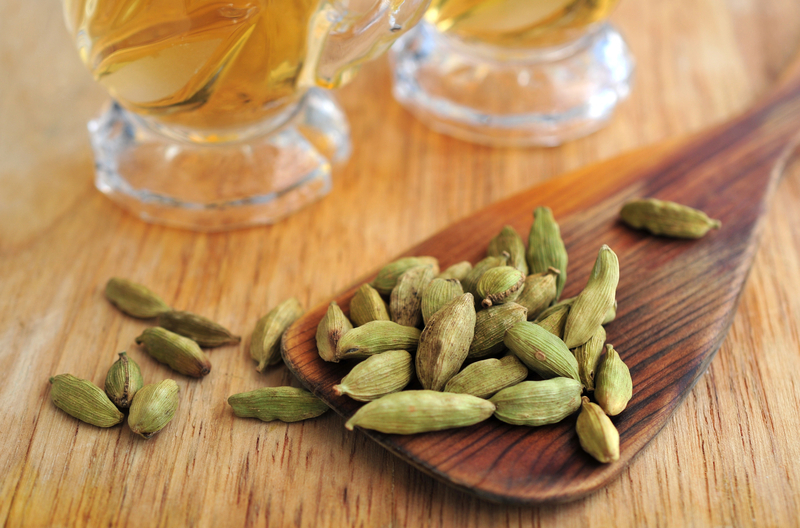 Are There Any Side Effects From Cardamom Tea? Cardamom is considered safe for most people, but it can trigger spasmodic pain in people with gallstones, says WebMD. It also is not recommended for women who are pregnant or nursing as it’s effects are not known. One or two cups of cardamom tea a day is generally considered adequate for promoting good health, but how much you choose to drink is up to you. Unless it is mixed with traditional tea, it is caffeine free and makes an excellent alternative to caffeinated drinks. When flavored with sugar or other natural sweetener and a dash of milk it makes a soothing and fragrant beverage before bed. When using powdered cardamom for flavoring tea, use ¼ to ½ teaspoon of powder per cup of water. If you are using dried pods, toss in 2 or 3 and steep them for 15 minutes. Don’t be afraid to experiment with making your own spiced cardamom tea by using tea bags as the base and adding your favorite spices. You can buy cardamom tea alone or in combination with other spices. It comes in tea bags or loose tea. You can even buy dried cardamom pods or cardamom powder for brewing your own cardamom tea recipes. Look for cardamom tea in the grocery store, in health food store and anywhere where herbal teas are sold. Who Can Benefit Form Cardamom Tea? Cardamom tea is for anyone who enjoys herbal tea, but is especially beneficial during the winter when colds and viruses abound. Keep cardamom tea in your cabinet to sooth sore throats, ease coughs and ward off the symptoms of winter colds. Cardamom tea’s fragrance is a definite plus as it helps the body relax and reduces stress. Try pouring a cup of cardamom tea on a chilly evening and enjoy its warmth and fragrance before bed. Cardamom in the third-most expensive spice in the world. It costs $30 a pound. Only vanilla ($50 to $100 per pound) and Saffron ($1600 to $5000 per pound) are more expensive than cardamom. Some Middle Eastern countries serve a strong cardamon flavored coffee called “gahwa” to visitors as a sign of hospitality. Cardamom is used to season sausage in the Western world.